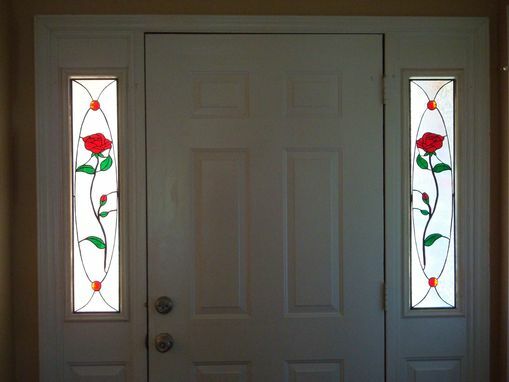 These sidelights are made using so-called Tiffany style technique, which involves cutting each colored piece out of glass and soldering them together in a cohesive design. 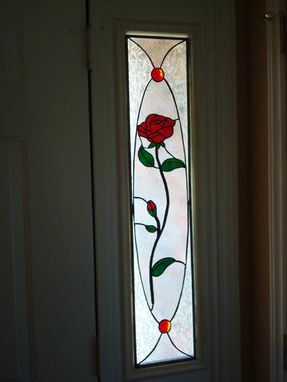 Any custom design is possible - the artist works off of photos if requested. 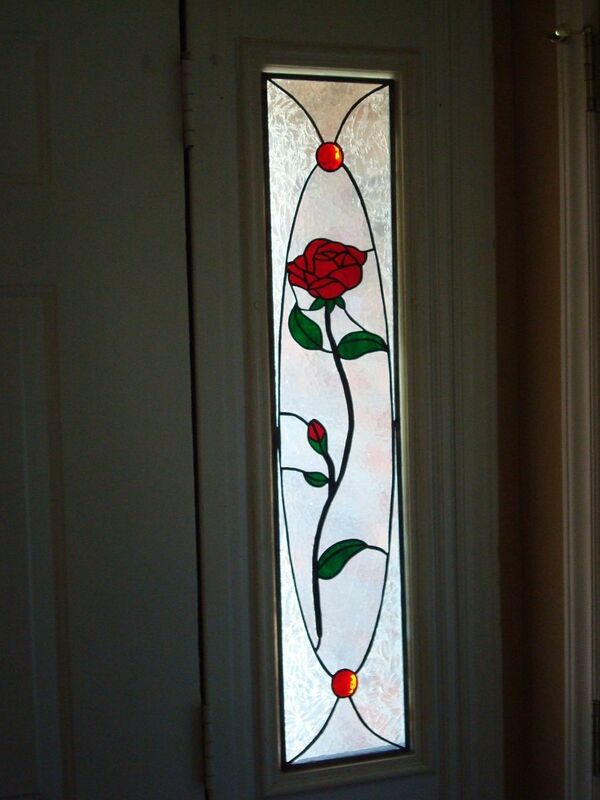 The last photo is leaded glass with painted rose detail. That option is more expensive than straightforward Tiffany-style.